The Life And Legacy Of Rev. 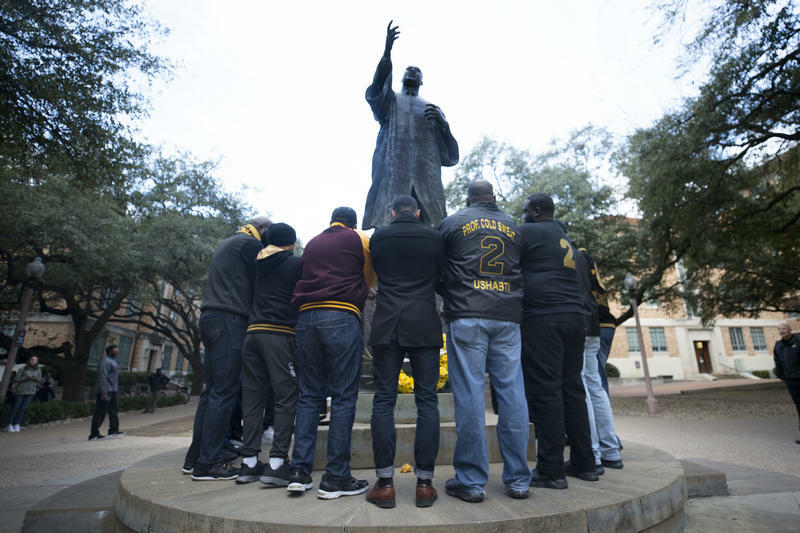 Martin Luther King Jr.
Current and alumni members of the Alpha Phi Alpha fraternity UT Austin chapter lay a wreath at the Martin Luther King Jr. statue on the UT campus Monday. On this edition of In Black America, producer/host John L. Hanson Jr. presents a tribute to the late Rev. Dr. Martin Luther King Jr. Featured on the program are former United Nations Ambassador Andrew Young, the Rev. Jesse Jackson, former President Barack Obama, and D’ Army Bailey.